You don't have to spend much time with Adrian Martin to realise just how much he loves being a chef - his passion for his chosen profession, and for food in general, is plain to see. But his new recipe book might never have been written if his experience working in one kitchen had happened at an earlier stage in his career. "I was fast asleep in bed at 3am when the head chef rang me and roared down the phone at me. I can't even remember now what he was on about, but I do remember it was something stupid that could have been corrected the next morning. It was totally unnecessary. I read it as a sign of weakness. He was just a bully," he tells me. "I was lucky; I'd had good experiences in my first few professional kitchens, and that's what made me want to choose this business. But if you end up in a bad situation starting off, it will completely put you off." The glorification of bad behaviour by celebrity chefs has done the profession no favours, Martin says. "There are head chefs out there who think it's fine to shout at people, to bully them, to throw knives and saucepans at them, to curse them out of it and make them feel like they're the smallest individual in the world," he says. 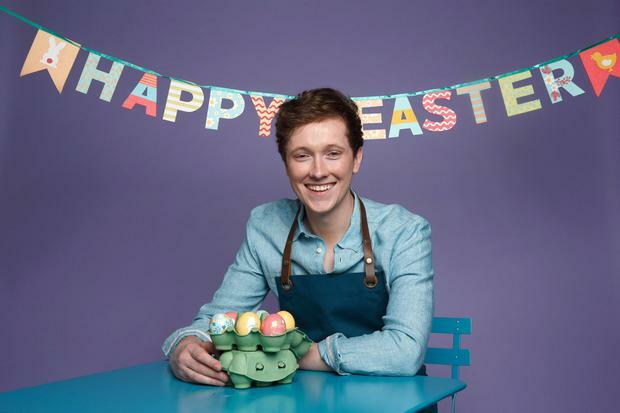 That kind of behaviour is virtually non-existent in the very best kitchens, according to Martin, who at 27 is best known for his stints on TV3 and as a cookbook author. His latest book, Create Beautiful Food at Home, is a gorgeous guide to cooking fine dining dishes in your own kitchen, and represents a change in direction for him. "My last book was about how to make healthy fast food at home. It was fun to do, but I missed having more creative control over things. I missed the artistic side of it, because I was handing my food over to a food stylist to make it look good," he says. "But that's the most fun part of cooking and I actually trained to do that myself in fine dining. This new book has stripped it all back. No food stylists were involved - it's all me. These are all the ideas I had growing in my head about how I'd like to do things." The first part of the book focuses on how to do the basic kitchen tasks typically performed in a high-end kitchen - things like how to shuck an oyster, how to break down a chicken, and how to fillet a fish. The second part is broken down into courses: breads, starters, palate cleansers, mains, desserts and petit fours. Dishes include lobster thermidor, crab ravioli, blood orange and thyme sorbet, braised beef, venison and barley risotto, and pear tart tatin. Martin concedes the book isn't aimed at complete beginners. It took him two years to produce and he describes it as a book for people who like cooking and love nothing more than getting stuck into a good recipe at home. "It's for people who want to be able to produce restaurant - quality food in a domestic kitchen. There are lots of basic recipes in it, particularly for things like breads and stuff like that, but there are also tips on how to take those basics further," he says. "If you're hosting a special meal, maybe a Sunday lunch or a dinner party, this is the book for you. You can flick through it and find thought-provoking ideas for the whole thing. There are simple recipes in there, but they all pack a serious punch. It's about letting the ingredients speak for themselves." Martin tested the recipes laboriously at home, and his long-suffering partner Fiona Coyne soon got fed up of fine dining for dinner every night. For two weeks solid the couple ate nothing but rice pudding as Martin repeatedly tested a recipe for a rice pudding soufflé. "Poor Fiona. Eventually she just broke down and pleaded for beans on toast for tea. She couldn't take any more," Martin says. The couple have been seeing each other for six years, having met when Martin was attending catering college in Killybegs in Co Donegal. A trip to Dublin to compete at a competition at the industry showcase event Catex resulted in a win for Martin, and on a night out to celebrate he met the Sligo woman. "I was living in Cavan at the time, so I spent a lot of time driving to Enniscrone in Sligo where Fiona lived. I grew up surfing and skateboarding so I was in my element. She is fantastic, and Enniscrone has some of the best surfing in Ireland. I was there every weekend," Martin says. 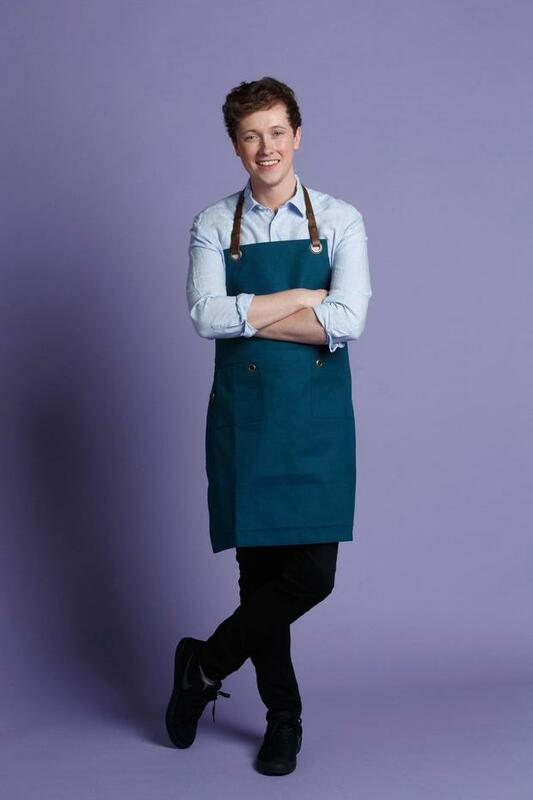 Martin is from Bawnboy in Cavan, where his parents Anne and John run an event company called Martin Event Management which specialises in cookery demo kitchen hire for food festivals and cookery demonstrations. He has two brothers and one sister. Cathal (28) works in the family business and lives in Ballyconnell, while Sean (24) trades currency for Western Union and lives in Vancouver. Sister Sarah (26) lives in Dublin and works for Pfizer. Adrian knew from an early age that his future lay in cooking, despite being teased for his interest in it while he was at school. "I've always had a massive interest in food; I was always watching cooking shows and reading cookbooks. But in the school I went to, no guy had ever done home economics. So to avoid being bullied, I did woodwork and metalwork instead," he says. At the age of 14, while he was in second year in school, he asked Neven Maguire for a summer job at his restaurant, MacNean House in Blacklion in Co Cavan. "I adored it, and Neven was incredibly kind. I'd spend my summers with him working full-time, and during term time I'd go in after school and on weekends as well. I just wanted to work. He gave me that opportunity, and I just grabbed it. But I kept it a secret from anybody at school. I never told any of my mates because it just wasn't seen as a cool thing to do. We lived in a rural area and the first time that anyone from school found out I was into food or was working as a chef was when I ended up on TV years later." Martin is an outlier - obviously not everyone with an interest in food can be expected to show such early dedication - but he feels strongly that more should be done to encourage people into the food industry. "School wasn't a great experience for me. I was more comfortable using my hands, but in school, everything focused on using your mind. And while I could do that, I didn't love it. It's only really as an adult that I've discovered that I have a different type of intelligence. "There are so many different types of intelligence but school only works with one of them. I'm a creative and artistic person who loves working with their hands and being able to see the results of what I'm doing in front of me. There are a lot of people like me out there, but our school system isn't really tailored for them." When Martin blagged his way into the kitchen at MacNean House, he felt he'd found his tribe. He was learning practical skills and every day brought a new challenge. "When I first walked into that kitchen, I didn't even know how to crack an egg. I started from scratch at the bottom, peeling 50kg bags of potatoes. That's the best way of learning, just by doing it over and over and over again. "I asked a lot of questions and went round to the other chefs hassling them. If I saw someone filleting a fish, I'd be like 'what are you doing? ', 'what's that? ', 'show me how you did that' and 'can I taste it?'." Martin thinks cooking is a basic skill that should be taught as widely as possible. "I'd go further - I think home economics should be compulsory in schools. After all, everyone eats every day and everyone needs to know how to cook. At the end of my secondary school, 80pc of my year went to college away from home and had to learn to fend for ourselves. A lot of my friends didn't have a clue," he says. After school, Martin continued working in his spare time and went to DIT to study baking and pastry arts management. Two days a week were spent in class while the rest of the week was spent working in kitchens. "I spent time in kitchens that had Michelin stars; some were great experiences and some were harder. The place that had the most impact on me was L'Ecrivain with Derry Clarke. He's a really nice guy and is as close to a mentor as I have today," he says. "At the moment Derry is putting a lot of time into me. It's incredibly helpful that I can pick up the phone to him and just chat through ideas for dishes and get his feedback. There aren't many chefs you can do that with." Martin is continuing to work on improving and developing as a chef, and in January he did a 'stage' - the industry term for an internship - at Restaurant Gordon Ramsay in London. "The head chef there is Matt Abe and he's quite tough and firm, but I was surprised at how calm the place was. I thought he'd be a lot more shouty but no, he was grand. We ate there on the Friday night and it was truly great. "It's incredible food and in the kitchen it's fascinating to see the flow and how everything works. It's great experience and it's got three Michelin stars, so it's a world-class restaurant. I was recently in San Francisco and was able to get in touch with Thomas Keller about doing a stint at The French Laundry in Yountville. He was really nice and very encouraging, so I'm hoping to get that set up soon. To be honest, he's a bit of a god in the food world so I was just thrilled he got back to me." With a pressing shortage of chefs in the industry in Ireland, Martin thinks that there has never been a better time for people to get involved. Too many people, in his opinion, are being thoughtlessly steered towards academia and third level qualifications without even considering the merits of a more vocational career. "There are literally thousands of jobs available in the industry at the moment, and most good kitchens I know of will bite your hand off if you're any good. For anyone with an aptitude, I'd seriously encourage them to look at catering school rather than an arts degree that they might not have any real interest in, just because they got the points. "It really helps if you get some experience in a good kitchen too - a good experience can set you up for life. Apprenticeships have become unfashionable in Ireland and that's a real shame. Cooking is a skill that can take you around the world if you're good at it." The obvious question for Martin is when is he going to put his money where his mouth is and open his own restaurant? "It's coming. I can't say when exactly but plans are underway," he says. "I have a lot of ideas and a lot of energy I want to put into it. I know what I want on the plate and I know what I want the place to look like. Will it be as good as I hope? Time will tell."